In my youth, we traveled by car (I knew no one that flew anywhere!). My Dad taught me how to use a road map (and how to fold one properly!). This is NOT his card, but maybe I will make a larger version for him! 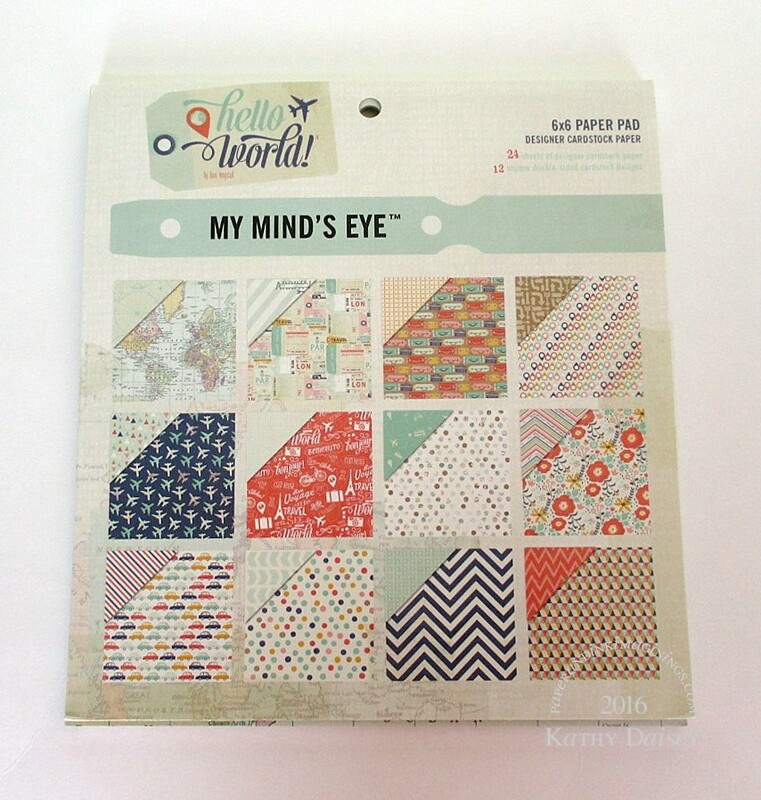 Supplies: Stamp – Hero Arts, paper – My Mind’s Eye Hello World!, Papertrey Ink Vintage Cream, Stampin’ Up! Night of Navy, ink – VersaFine Smokey Gray, embossing powder – Ranger Silver Pearl. 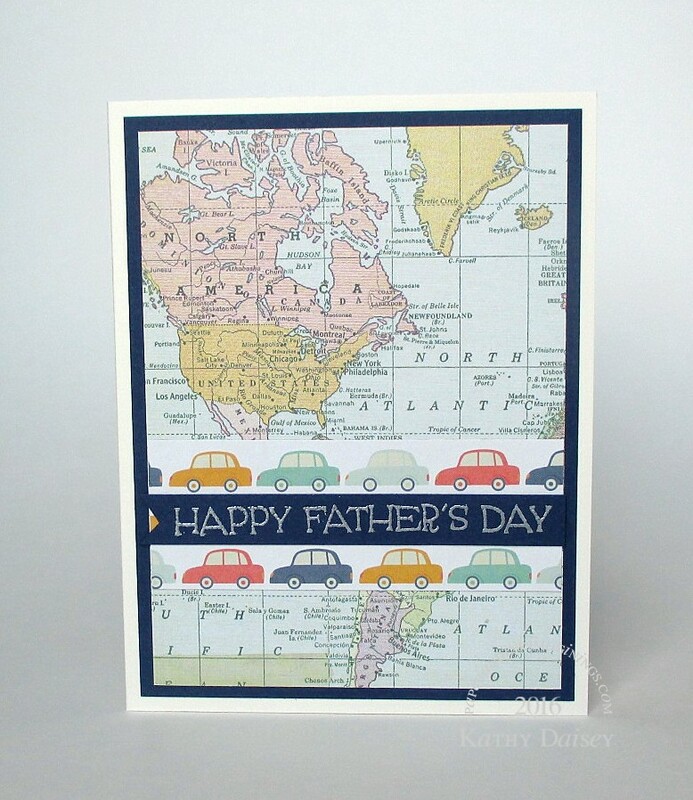 Categories: card, Father's Day | Tags: card, Hero Arts, My Mind's Eye, Papertrey Ink, Ranger, Stampin' Up!, Tsukineko, VersaFine | Permalink. We too traveled by car. Don’t be the one who screws up the map! My dad wouldn’t let my mom fold the maps! Great card. Would it be fun if the one you make for your dad was all folded up like a map?! Gillian, that’s a great idea…or maybe if I make a card out of a map that has meaning to us! Oh, I bet he would love that!